An 84-year-old former New England Mafia boss was convicted Friday of killing a nightclub owner to keep him from ratting out the mobster to authorities in 1993, all but ensuring the once-feared and powerful gangster will die behind bars. "The last 25 years have been heartbreaking for us," said a statement from the victim's family. "We have waited a long time for answers and explanations for something unexplainable." 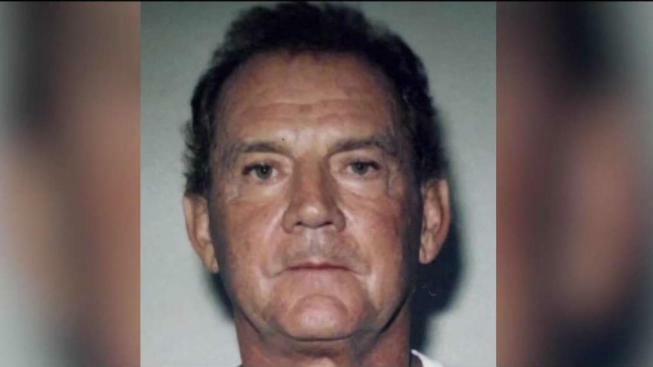 Jurors found Francis "Cadillac Frank" Salemme guilty in Steven DiSarro's slaying after four days of deliberations in a case that served as a flashback to the days when La Cosa Nostra was a force to be reckoned with in New England. Salemme's co-defendant, Paul Weadick, was also convicted of murder of a federal witness. Both of them face up to life in prison. Salemme's attorney said he was surprised by the verdict. "He was hopeful and optimistic...," the attorney said. He also said that Salemme's one time best friend Stephen "The Rifleman" Flemmi, who was the government's star witness in the trial, was not truthful on the stand. "Flemmi is an absolute liar, but they're a tough set of facts and we thought we had overcome them but we didn't," the attorney said. DiSarro's family said in their statement that they feel fortunate his story now has an ending. "We can now put many of our questions and the questions of others to rest, and for that we are eternally grateful," the statement said. Prosecutors said Salemme had DiSarro killed because Salemme feared the nightclub owner would cooperate with authorities investigating the mobster. Steve Boozang, Salemme's attorney, said the men will appeal. He said Salemme is disappointed but feels worse for Weadick, who at 62 is much younger. Boozang said it was a "tough set of facts" but they had been hopeful jurors would clear Salemme of the charge. Flemmi told jurors that he happened upon the killing when he walked into the Salemme home looking for the mobster. Flemmi said he saw Salemme's son strangling DiSarro while Weadick held the nightclub owner's feet and Salemme stood by. Salemme's son died in 1995. Sentencing is scheduled for September 13.